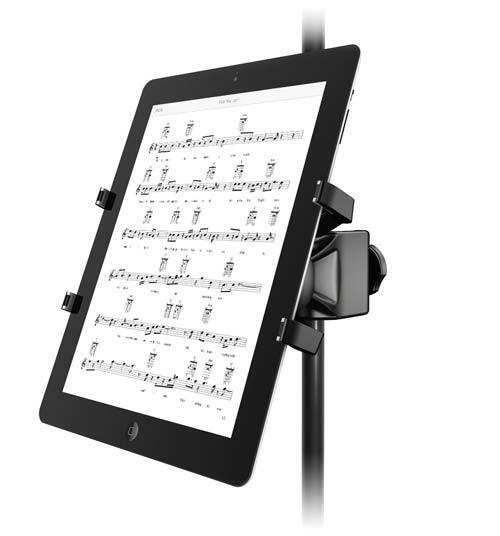 iKlip Stage is the companion app for iKlip products that makes it easy to organize, manage and perform with your favorite music scores, lyrics, tabs and more. 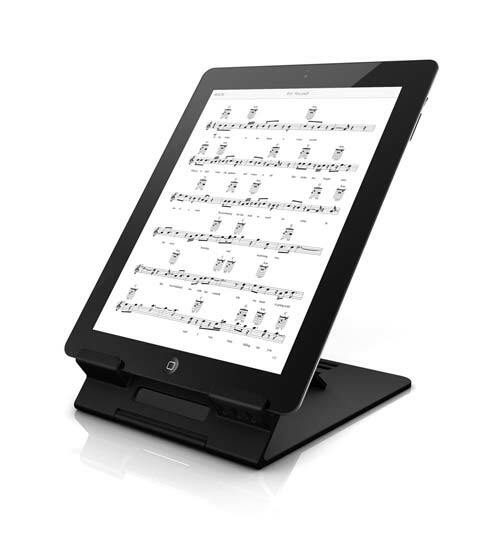 Featuring a streamlined interface and intuitive controls, it's a straightforward music file management and page turning app with separate versions for iPad and Android that will help you perform live effortlessly. Organization is at the heart of iKlip Stage, which is why its interface is so simple: Import your favorite music scores in the FILE page and then assemble your scores into setlists for use in the LIST page. When you're ready to perform, all you'll need to do is select your setlist and swipe left or right to turn the page. 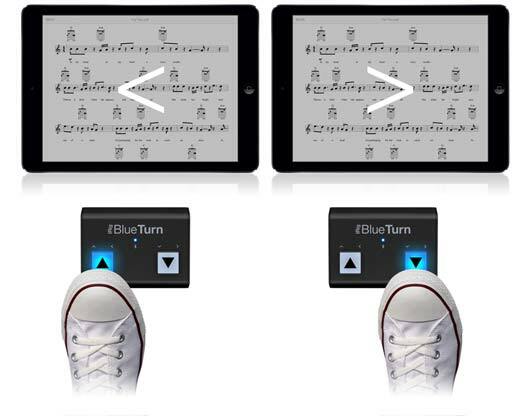 If you have the iRig BlueTurn or iRig BlueBoard you can use your feet to take advantage of its fully integrated wireless page turning control for a truly hands-off live experience. iKlip Stage is fully compatible with all your favorite music file formats. 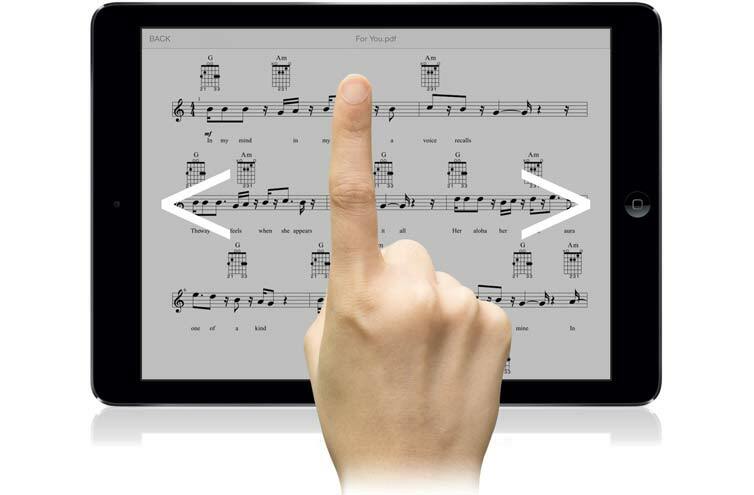 You can import scores, lyrics, tabs and more — iKlip Stage supports PDF, TXT, RTF, PNG, JPG, BMP and TIFF files — via file sharing and then view your scores in the easy to navigate FILE page, which presents your scores as thumbnail-sized previews. No matter whether you're using it on your iPad or on your Android device, using iKlip Stage is easy. Create a setlist, navigate to the FILE page and tap and drag the files you'd like to use to your setlist. To delete a file, tap and hold. 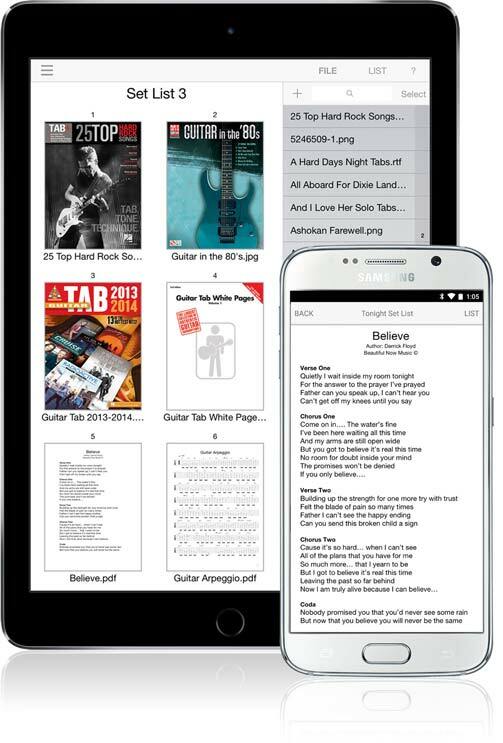 In the free version you can import up to 30 files and create 2 setlists — register your iKlip, iRig BlueTurn or iRig BlueBoard serial number to increase your capacity to 60 files and 4 setlists or unlock unlimited files and setlists through in-app purchase. When you're ready to perform, just tap the first file in your list to enter full-screen mode (which works in both landscape and portrait orientations). Now you're ready to start turning some pages! There are a number of ways to control iKlip Stage. 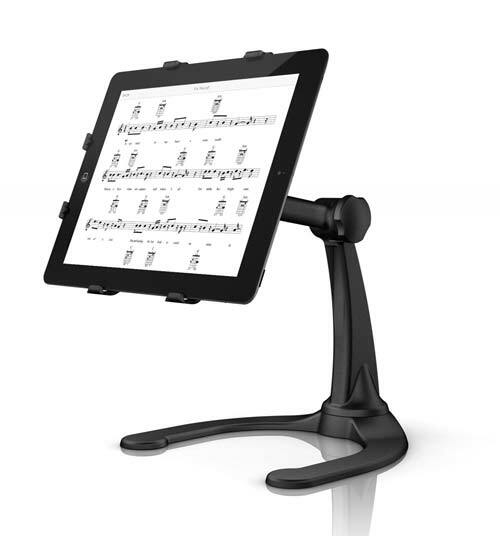 Though designed to be used with your mobile device's touchscreen, it can also be used with iRig BlueTurn and iRig BlueBoard. 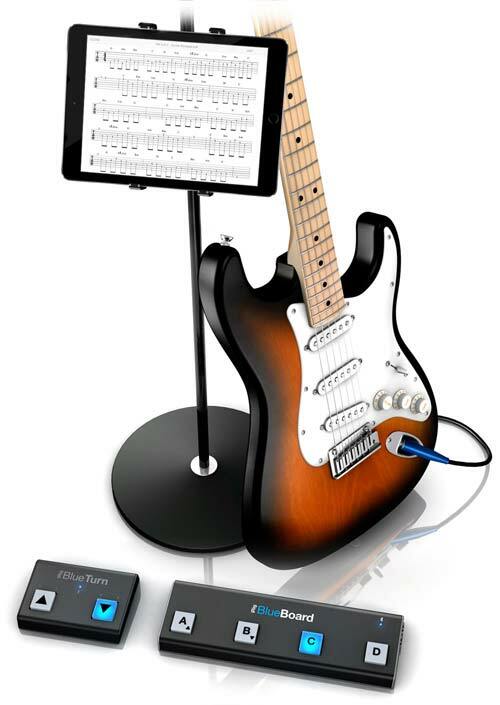 If you own an iRig BlueTurn or iRig BlueBoard, you'll enjoy foot pedal control straight from the floor. iRig BlueTurn's Up and Down buttons can be used to turn pages or to move between setlists. 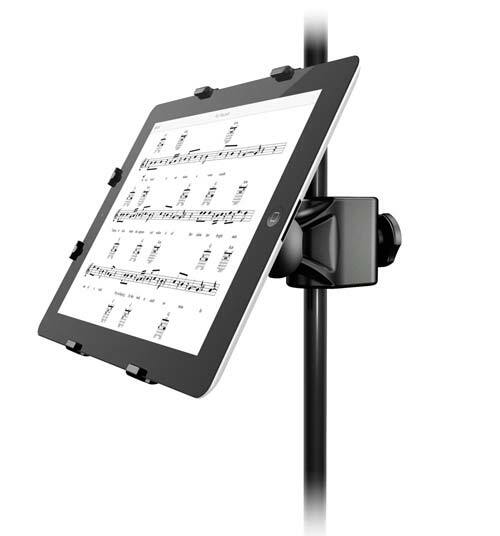 iRig BlueBoard's A and B pads can be used to turn pages, and its C and D pads can be used to move between setlists. No matter how you choose to use it, iKlip Stage lets you take your live performances to the next level.